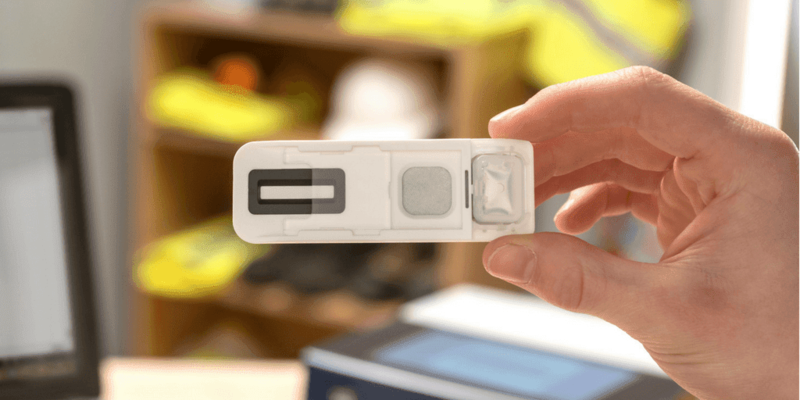 An investment of £2.98m has been raised by Intelligent Fingerprinting, a British company developing ground-breaking drug screening technology that detects drug use through fingerprint sweat analysis. The substantial funding boost has been secured from private UK and US-based backers. The same group of US backers first invested in Intelligent Fingerprinting in 2012. In the past two years Intelligent Fingerprinting has also secured government-funded grants on three occasions, the most recent being a sizeable grant from the EUREKA Eurostars Programme, administered by Innovate UK. Dr Jerry Walker, CEO of Intelligent Fingerprinting, is excited by what this latest funding round indicates. “The ongoing financial support we’ve had from the US endorses the confidence that our investors have in our technology and its potential,” he said. The £3m will be used to scale up the company’s production capabilities and finalise product development, accelerating the device’s introduction to the global market. “Our investors understand the important role that Intellectual Property protection plays in creating a platform technology and supporting its potential across many applications and markets worldwide. As well as financial support, our investors provide a distribution route into the US market along with extensive marketing experience,” Dr Walker explained. In 2012 the company granted North American marketing and distribution rights in the criminal justice sector to Smart Start Inc, head-quartered in Grapevine, Texas. 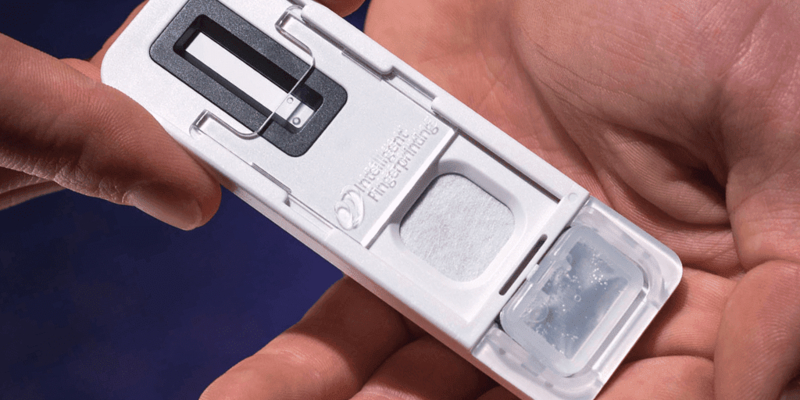 Non-invasive and easy-to-use, Intelligent Fingerprinting’s mobile testing device uses the company’s unique test cartridges to analyse fingertip sweat and screen for multiple drugs of abuse in less than ten minutes. 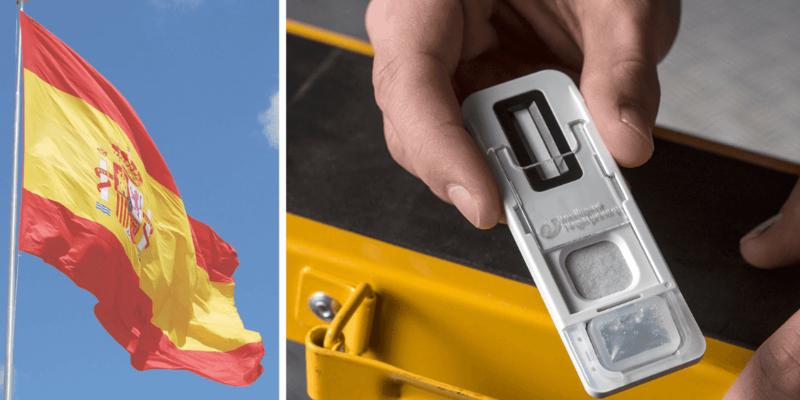 The new technology eliminates the need for the specialist collection arrangements and biohazard disposal facilities associated with conventional drug testing methods involving blood, urine or saliva samples. The device is expected to simplify drug screening globally in many sectors including criminal justice, drug rehabilitation and the workplace.